PLATONIC, adj. Pertaining to the philosophy of Socrates. Platonic Love is a fool's name for the affection between a disability and a frost. Oratory, n. A conspiracy between speech and action to cheat the understanding. Heathen, n. A benighted creature who has the folly to worship something that he can see and feel. 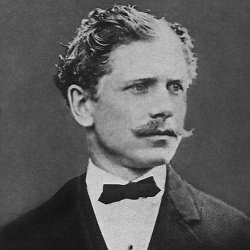 Bio: Ambrose Gwinnett Bierce was an American editorialist, journalist, short story writer, fabulist, and satirist. He wrote the short story "An Occurrence at Owl Creek Bridge" and compiled a satirical lexicon, The Devil's Dictionary.